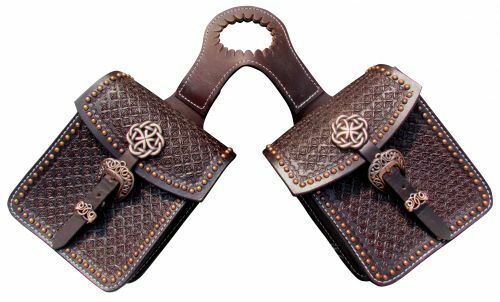 Showman ® Waffle tooled leather horn bag with copper accents. This bag features dark brown waffle tooled leather and is accented with copper studs, copper knot conchos and a copper buckle closure on each side. Bags measure 7" x 3" x 6".